I had not had my Featherweight (the first one) very long when the light bulb burned out. 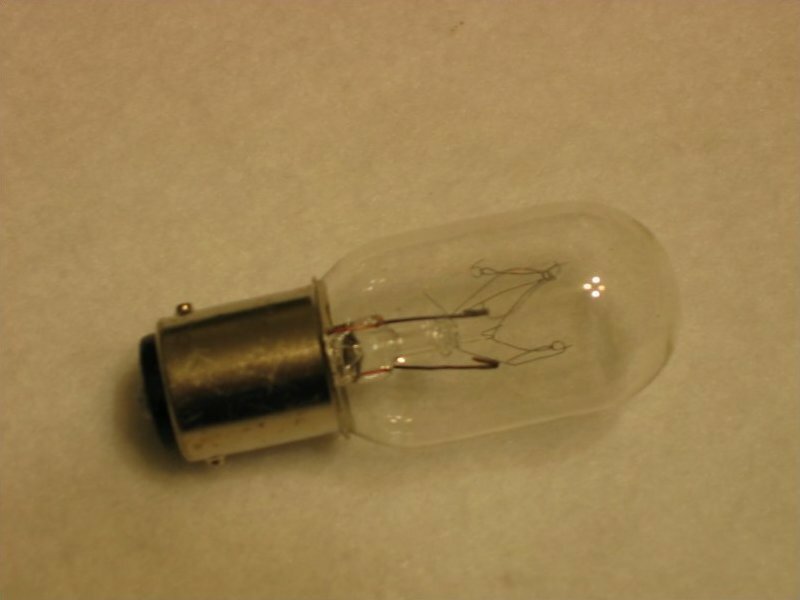 (I am sure it was the original bulb.) I went down to the local store for a replacement part. The gentleman there told me that they didn't make 15 watt bulbs anymore and that I would have better light with the 25 watt bulb he had in stock. This is simply not true, and a 25 watt bulb can lead to some heat expansion problems for you and your beloved machine. It can also create enough heat to 'blister' the paint on the light shield. So, replace the bulb with a 15 watt bulb as the engineers who designed the Featherweights intended.